In response to the messages I have received recently on my last two blogs, I have the following observations to make. Since the basic theme of the messages in both blogs is by and large the same and my worthy critics have raised similar points, I am posting this message as one separate blog to respond to the messages on both the previous blogs. Mawlana Saleemullah Khan, the teacher of Mawlana Taqi Usmani, has accused the latter of indulging in talfīq. The Arabic term is used to mean an act whereby a Muslim follows another Imam (scholar) even though he has vowed to be a muqallid (blind follower) of a different Imam. This happens to be Mawlana Saleemiullah’s biggest objection to Mawlana Taqi Usmani’s model of Islamic banking. Talfīq is haram (prohibited) according to the conventional scholars who believe in taqlīd (blind following of scholars). It has to be said in defence of Mawlana Taqi Usmani, however, that he was forced to do talfīq because he had no choice. Hanafi fiqh, which the Mawlana otherwise follows blindly, leaves such little space to maneuver in financial matters that he was left with no choice but to partly ignore the principle he himself has so strongly pleaded elsewhere in his much celebrated book on taqlīd. Some of the readers probably don’t know that Mawlana Taqi Usmani is the proud author of a book “Taqlid Ki Shara’i Haisiat” (The Correct Islamic Stance on Taqlīd) . The book strongly pleads that taqlīd is the right approach in Islam. I must acknowledge that Mufti Taqi Usmani deviated from his stance on taqlīd only in Islamic banking. He hasn’t done it in any other case. In fact, Taqi Usmani Sb is so firm on his stance that when he made his inaugural speech to one of his new classes of specialization (takhassus) in jurisprudence, he clearly told his students that the one who disagreed with the views of Mawlana Ashraf Ali Thanvi, a Hanfi-Deobandi scholar of repute, he should not bother to come to his classes. I am narrating this statement on hearing it from a Mufti Sahib who attended that class. Now I could be completely unaware of the latest developments in Mawlana Taqi Usmani’s approach. If someone helps me in knowing that he has withdrawn his staunch support for taqlīd and that he has retracted from the contents of his book, I will be delighted to know that and I will applaud him as a great scholar, not that I am not his admirer right now. But has he really withdrawn his stance on taqlīd or is Mawlana Saleemullah’s stance correct that he is guilty of contradicting his own principles in the case of Islamic Banking? The analogy of a madrassah and an ‘Alim on the one hand with a medical college and a certified doctor on the other is an incorrect one. Quacks in the field of medicine don’t challenge loud and clear that what is happening in the medical colleges is not genuine education on medicine. They simply do their medical practice stealthily despite a clear law that they are not legally allowed to do so. Also, if qualified students of medical colleges don’t perform well, the society would protest against them immediately because the results of their practice would show in the form of poor health and deaths of their patients. How shall we be able to know that ‘spiritual colleges’ are showing good or bad results? Probably the moral performance of the followers of the scholars they produce is a barometer to gauge their effectiveness. But the real result would show on the Day of Judgment when it would be too late to realize whether the decision of following the Madrassah-based religion was correct or not. The only genuine way of knowing the efficacy of these institutions was to urge every user of their services to use his/her intellect while benefitting from their views. Unfortunately is the very faculty which targeted to be made ineffective if not completely killed by the Madrassah scholars when they urge their followers to follow them blindly as a matter of religious duty. They scare people by stating that not doing so – in other words using intellect in religious matters was – prohibited (haram) in Islam. 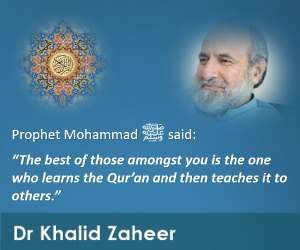 If those who haven’t studied in Madrassas and yet are participating in spreading Islamic message are quacks, then the following are some of the names of ‘religious quacks’ of our times: Abul Kalam Azad, Dr Israr Ahmad, Dr Ghulam Murtaza Malik, Dr Zakir Naik, Dr Farhat Hashmi, Mr Ahmad Deedat, Mr Javed Ahmad Ghamidi etc. All of them resorted to learning about Islam through their own personal, non-Madrassah-based means. Interestingly, Mawlana Mawdudi was a ‘semi-quack’, going by the definition of it of the admirers of the Madrassah system. Despite his learning from a conventional Madrassah which he couldn’t complete because of his family problems, he faced massive resistance from the clergy of his times because he committed the cardinal crime of spreading the word of Islam despite not being a Madrassah ‘Alim. Dirty slogans like this one were popularized by our Madrassah-based propaganda machinery: “Aik Maududi Sau Yahudi” (One Maududi is the equivalent of hundred [anti-Islam] Jews). If we look at the personalities that were responsible, directly or indirectly, for the spreading of Madrassah education in the sub-continent, we find that some of the more prominent ones amongst them weren’t Madrassah graduates themselves. 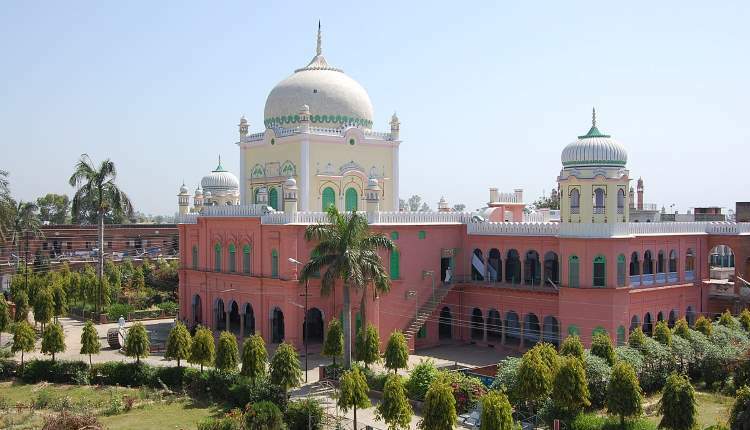 Qasim Nanautvi, the founder of Deoband school, Ahmad Raza Khan Barelvi, the founder of the Barelvi school, and Abdullah Ibn Abdul Wahhab, one of the most significant spiritual leaders of the Ahle Hadith movement in Pakistan, were all quacks by the definition of the term given by the Madrassah enthusiasts. It is also interesting to note that there have been several instances when the ‘scholars’ have studied from ‘quacks’. I personally know ‘scholars’ who teach at Madrassahs and yet come to one of the ‘quacks’, Mr Javed Ahmad Ghamidi, to learn Arabic and religion from him. It must also not be forgotten that Madrassas were created during the British rule as a reaction to the British occupation of the sub-continent. If there were elements of extreme conservatism in the structure and constitution of these institutions it wasn’t therefore surprising. The surprising thing however is the fact that what started as a reactionary movement has become in the opinion of many the only institution relevant to solve all the religious problems of the Ummah in the contemporary times. It is like Mawlana Ilyas started preaching to the poor and religiously ignorant Muslim Maiwatis of UP, India by paying them an amount equivalent to their daily wages and taking them out of the hustles of life to teach the very basics of Islam. However, what started as an improvised strategy to educate the very ignorant became the biggest preaching movements of Muslims. Such are the tragedies of the contemporary Muslim Ummah. Of course, the sincerity of the followers of either of these movements is not in question. If a reality as stark as the tendency of blind following of the elders is continuing to plague the Ummah and hollow its foundations, its criticism has to be shouted repeatedly. If an epidemic continues to stay in a society, its cure needs to be regularly reminded and administered. Like it would be foolish to suggest to the doctors that their efforts to make a society aware for remedying an epidemic should be discontinued because it had become monotonously repetitive, similarly it is unwise to suggest that the curse of taqlīd shouldn’t be lamented anymore because the exercise has already taken too long. When we criticize for religious reasons, we are not in the business of story-telling where repetition makes the message stale. So long as poverty stays we shall continue to raise our voice of concern against it. If a person claims to be belonging to Al-Mawrid’s way of thinking, he may not necessarily be truly representing the institute’s viewpoint. If an Al-Mawrid’s representative ridicules a scholar belonging to another school of thought, he needs to be condemned too. If he stops people from listening to others, he is not doing what Al-Mawrid stands for. 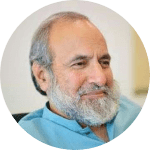 However, if an individual belonging to the Madrassah-based, traditional system stops people from listening to others, he is doing exactly what his school of thought promotes. However, not all representatives of the traditional system ridicule scholars different from their school of thought. Blocking the way of dialogue is however a matter of basic policy for them. My blog ‘The Story Goes On’ has received a fair share of criticism. I must admit that it deserved to be criticized. I have also criticized myself, not for posting it but, for failing to clarify what I really wanted to communicate. If a reporter of a murder doesn’t do well enough to make people aware of the fact that he was a witness to a ghastly crime, it is the fault of the reporter. Likewise I should be blamed for not telling well enough that in one of the most prestigious universities of the country a teacher was guilty of teaching his students that blindly following Madrassah-scholars was a religious duty of all Muslims. Of course, I should be criticized for not being clear enough in mentioning that the one who protested against the crime was the one who was put to sword by the university authorities. I apologize to my critics the same as TM apologized to the students of PPI. If the women, the old, and the feeble of a society present an excuse on not responding to the need of removing garbage from a society, it is understandable. However, if the youth make similar excuses, it doesn’t befit them. Even more dangerous than the physical filth is the decay in the system of our religious education. The situation urges the conscientious youth of the society to do something about it or else they will be held guilty of ignoring an exceedingly important moral and religious duty. Hasn’t There Been Positive Evolution In All Human Matters ?